Greg Lindsay | Articles | 5 Global Cities of the Future | Inc. If you’re still pondering whether to head to Silicon Valley for your next startup, you’re not thinking big enough or far enough. Over the coming decade, the 600 largest and best-connected cities on the planet will contain a fifth of the world’s population, capture almost two-thirds of its economic growth, and encompass more than half of global GDP, according to the McKinsey Global Institute. And, as great as the Bay Area and Boulder and Austin are for launching a startup, you’d be only scratching the surface here when it comes to corralling talent, tapping the world’s next big market (hint: they speak Arabic), or being present for the next tech breakthrough. America’s entrepreneurial spirit is too big to be contained by borders. Here, we present five global alternatives to traditional hotbeds of startup creation and growth. Each city offers unique advantages to American entrepreneurs, and each is a regional—or even global—hub in its own right. Some are great places to launch a business or expand into new markets. Others offer access to expertise or technologies that may not yet be available in the U.S. Many are home to some of the world’s best workers, as well as to partners who will help you scale. For example, Istanbul and Dubai are gateways to the modern Middle East, a market that is growing faster than (and is younger and bigger than) that of the United States. Santiago, Chile, has made a name for itself as one of the most foreign-entrepreneur-friendly cities on the planet, and as a test bed for launching into Latin America. Tallinn, Estonia, is one of the world’s most internet-connected cities, with a deep pool of technical talent thanks to all the Skype alumni running around. 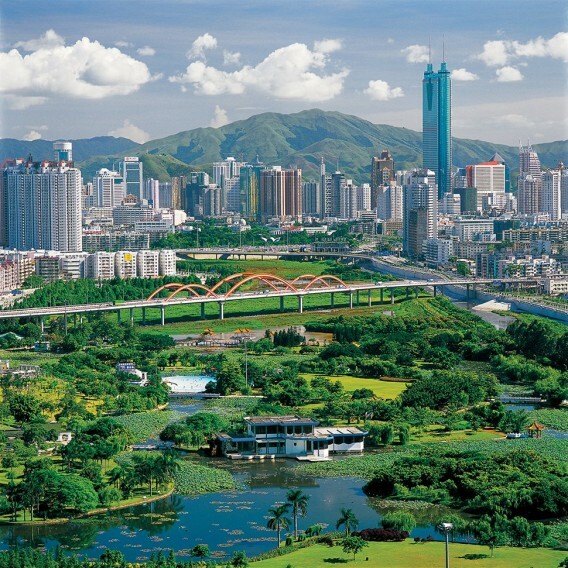 Shenzhen, China, aspires to be the Silicon Valley for hardware makers, a place where accelerators are eager to help you build, test, refine, and make a million of something all in the same day. If these cities aren’t already on your radar as lands of opportunity for your company, let this serve as notice that they should be. Only the kingdom of bling would kick off a recruiting drive for entrepreneurs with a $1.5 billion “innovation hub.” Announced last fall, this mammoth expansion of Dubai’s Internet City is poised to be the launchpad for a new generation of Arab-owned companies looking to partner with the emirate’s deep-pocketed conglomerates and to expand across the entire region. 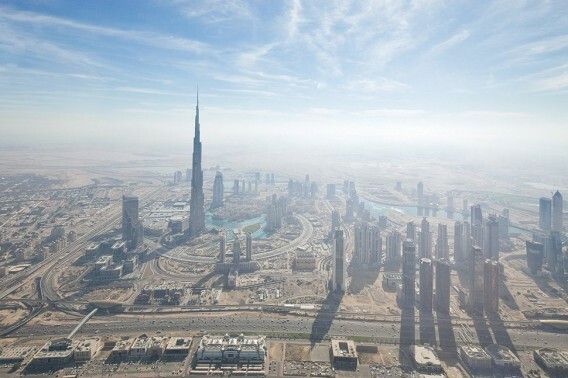 Widely written off after the global financial crisis, Dubai has lost none of its swagger—and none of the advantages that made it the region’s best business hub. Entrepreneurs willing to endure scorching summers, punishingly high housing costs, and a dearth of local tech talent are able to exploit the emirate’s unmatched investments in infrastructure, low taxes, and tolerance for expatriates. It’s one of the world’s “few truly connected global cities,” according to the McKinsey Global Institute, and one that’s a crossroads for North Africa and the Middle East. Dubai’s monarchy can also think like a startup when it wants to. The inaugural U.A.E. Drones for Good competition awarded more than $1 million in prizes in February as part of an effort to seed the Middle East’s drone industry, with more than a dozen such startups launching in the emirate. A similar initiative, the U.A.E. 3-D Printing Innovation Alliance, brings together local universities, 3-D-printer companies, and regional entrepreneurs in an attempt to cement Dubai’s status as the leader in an industry that’s still searching for its killer app. 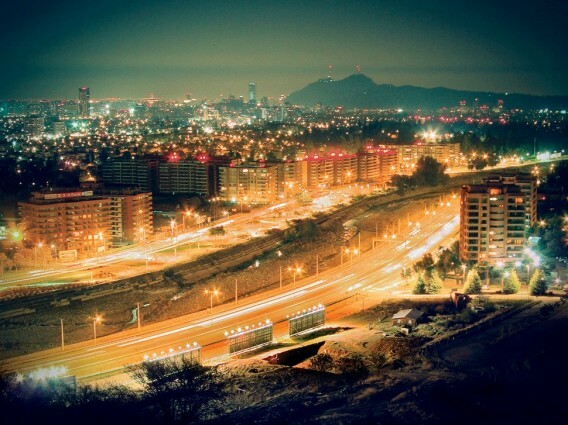 Santiago is so eager to attract entrepreneurs that it will pay you to move there. In 2010, Start-Up Chile began offering émigré entrepreneurs one-year visas, free workspace, and $40,000 cash (now down to $33,000). The government-run program was a hit, attracting 16,000 applicants. (More than 1,000 startups from 75 countries were accepted.) Most founders use their time in Santiago as a sabbatical, during which they learn the startup ropes from previous participants who have stayed put in Chile—132 graduates so far, according to Start-Up Chile’s executive director, Sebastian Vidal. Start-Up Chile was meant to teach Santiago a lesson as well: how to think entrepreneurially. Although Santiago is regarded as one of the best spots in South America to do business—with its California climate and none of the megacity dysfunctions of places like São Paulo—its economy was built on mining and maritime commerce. It lacked a tech-startup scene. Start-Up Chile’s creators realized that “to change the culture, you’ll need to bring foreigners in,” says Vivek Wadhwa, a fellow at Stanford Law School and adviser to Start-Up Chile. They were right. Today, the program’s headquarters in the city’s leafy Providencia neighborhood is packed with locals and foreigners learning from one another. That mix will change as the program recruits more local companies eager to expand across Latin America, where the 10 largest cities, including Santiago, make up nearly a third of the region’s GDP. “U.S. companies don’t realize they can test their technology locally and expand from there,” says Wadhwa. Want to relocate to Estonia? It’s so easy. You don’t even have to move here. Earlier this year, the Baltic nation began issuing the world’s first “e-residencies,” granting foreigners the same digital identities that are Estonians’ birthright. With that comes the ability to hold bank accounts, register businesses, sign contracts, and gain access to more than 4,000 local services. This platform is emblematic of “E-stonia’s” ambition to build a nation of digital natives. 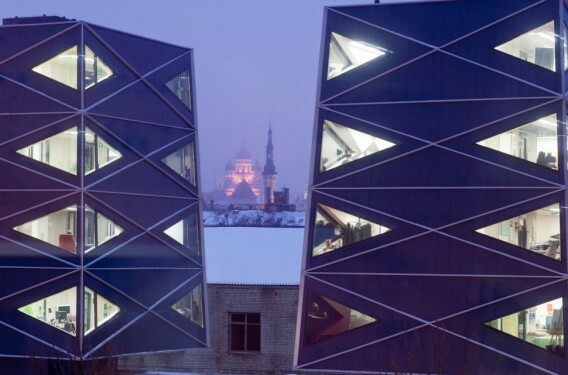 With fewer than half a million actual residents, Tallinn is the smallest city on this list, but it offers entrepreneurs one of the deepest pools of technical talent per capita of any European capital. In the decade since Skype launched in Tallinn, the company has spawned legions of startups, venture capitalists, and executives known locally as the “Skype mafia,” offering emigrants (digital or otherwise) a built-in set of co-founders, funders, and partners. Estonia’s tech prowess helps local startups punch above their weight in other ways, including innovative public-private partnerships that—thanks to the country’s E.U. citizenship—have the chance to become industry standards across the Continent. For example, after a cyberattack hobbled Estonia’s communications network in 2007, the government and private sector joined forces to create a state-of-the-art security system known as keyless signature infrastructure. That in turn evolved into Guardtime, a Tallinn-based data security firm, used by companies such as European mobile giant Ericsson. Guardtime’s impressive growth—to about €3.6 million ($4.1 million) in revenue in 2013—landed it on the Inc. 5000 Europe list, which debuted this year. Istanbul transcends the cliché of being the hinge between East and West. Europe’s largest city is also the gateway to 76 million Turks and the Turkic populations of Russia and Central Asia—a vast, underserved market. Here, many entrepreneurs who take their cues from successful U.S. startups are striking gold. Food-delivery service Yemek Sepeti, for instance, started as Turkey’s answer to GrubHub before expanding to Greece, Lebanon, Jordan, Saudi Arabia, and other countries. Today, the company partners with 10,000 restaurants and takes 90,000 orders daily from 3.2 million users. HemenKiralik (known as Flat4Day) is Turkey’s Airbnb; Trendyol is its Gilt Groupe; and its eBay is GittiGidiyor (which, in 2011, was acquired for $218 million by eBay itself). Human capital is plentiful and relatively cheap. “Turkey’s strong STEM universities are churning out high-quality technical talent, and Turkish students from top-tier global schools are keen to return to their bustling hometowns,” says Cem Sertoglu, a partner at Earlybird Venture Capital who invested in Yemek Sepeti and GittiGidiyor. But Istanbul’s blessing as an entrepreneurial hub is also its curse, with a rising cost of living, epic traffic jams, and a glut of smaller players. Sertoglu worries that startups chasing low-hanging fruit domestically will ultimately stunt the local scene. More worrisome is the political climate under President Recep Tayyip Erdoğan, who continues to crack down on criticism nearly two years after the Gezi Park protests. Erdoğan’s defiance has left Turkey’s E.U. 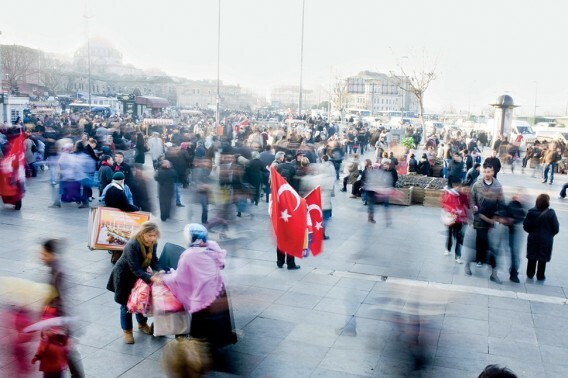 candidacy on life support and dampened Istanbul’s prospects as a creative capital. Shenzhen is the archetypal megacity. Thirty-five years ago it was a fishing village, but today its miles of subtropical sprawl sprout skyscrapers and huge malls across the border from Hong Kong. Wages are no longer low, and neither is the cost of living, but China’s original “instant city” can hold its own with any metro in the world, especially when it comes to entrepreneurship. Shenzhen is increasingly attracting startups that may have previously only outsourced their manufacturing here. It has become a global magnet for hardware companies eager to learn from the world’s biggest (and often best) manufacturers of mainstream electronics. Many land at Haxlr8r, an accelerator that has graduated more than 50 companies using a now-familiar model: Learn the basics of manufacturing and develop a prototype; raise funds (and build buzz) in the United States through Kickstarter; manufacture the product; and drop-ship it anywhere in the world through the Pearl River Delta’s unparalleled logistics networks. By launching products this way, startups “win a tremendous amount of time in getting to market and avoid the costly mistakes that come with ‘parachute manufacturing,’ ” says Haxlr8r founder Cyril Ebersweiler. Partnerships are critical. The first company to master the Shenzhen model, years before Haxlr8r existed, was PCH, an Irish-run middleman between Western brands and invisible Chinese contract manufacturers. PCH rose to prominence as an integral part of Apple’s supply chain, and today offers its services to hardware startups looking to scale. Entrepreneurs who aren’t willing to relocate to Shenzhen can sign up for the company’s incubator in San Francisco, in which entrepreneurs build prototypes and wire their orders to China. Those willing to take the plunge and set up shop in China, however, will discover a vast universe of technical expertise. Inside the 10-story SEG Electronics marketplace, for example, are wall-to-wall stalls of vendors hawking every conceivable component, including Bluetooth-connected low-energy chips and sensors not even on the market yet in the U.S. And each of these vendors is backed by its own factory. In other words, Shenzhen is ground zero for technological serendipity.